Looking for a unique Valentine’s Day gift for your sweetheart? How about a Valentines Day Balloon Tour with Arizona Hot Air Balloons? There’s something that will literally send your special someone into the clouds! For years, Arizona Hot Air Balloons has ferried our guests into the clouds for special occasions. We’ve hosted many wedding parties for truly unique weddings. Arizona Hot Air Balloons staff members have been on hand for countless proposals. And we’re more than happy to take you and your loved one up into the sky over the Sonoran Desert for an extra special Valentines Day Balloon Tour! 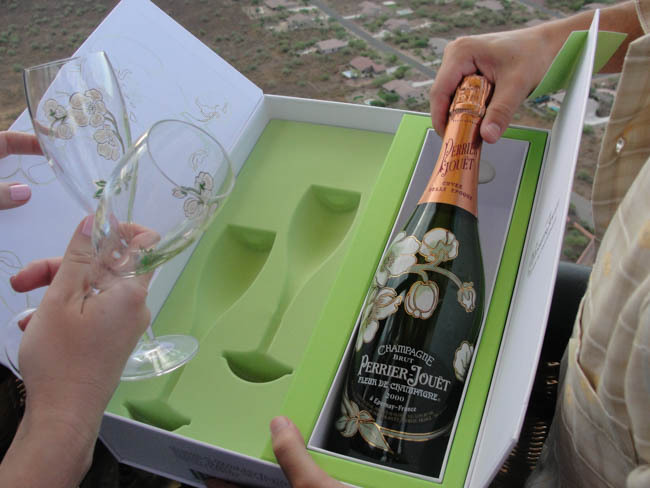 Balloon Tours in the Phoenix area are extremely popular this time of year. We have some great flying weather ahead of us. Valentine’s Day should be no exception. But keep in mind, our baskets are only so large, and we can only float a select group of people on Valentine’s Day. So it’s important to get in touch with us sooner rather than later. Don’t be the guy who waits until the last moment to do something special…..a box of half eaten chocolates the day after Valentine’s Day will land you in the dog house for sure! Instead, get ready to launch your Valentine’s Day the right way! A Valentines Day Balloon Tour will ensure you don’t land in the dog house. Instead you’ll land exactly where we plan to go in one of our hot air balloons! Get in touch with us today to learn more about what we can do for your special Valentines Day Balloon Tour. We offer many custom options to make your day extra special! Arizona Hot Air Balloons offers many custom packages to our clients. Graduation celebrations, anniversaries, weddings, birthdays, Valentines Day, and more. Get in touch with us and find out how we can help you with your special event or celebration!